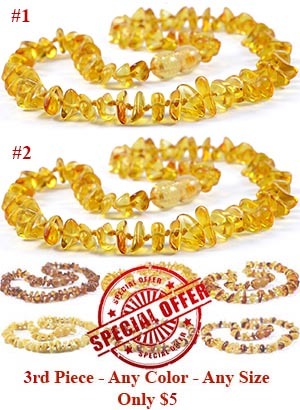 Set of 2 Baltic Amber Teething Necklaces realized with Certified High Polished Baltic Amber Yellow Chips individually knotted, softly rounded and an Amber safe screw-on clasp. • Weight: 7 - 14 gr. 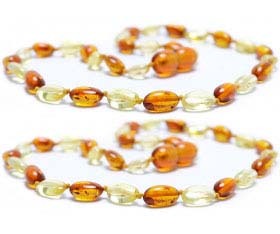 Wearing Amber close to the skin is a traditional European remedy for teething in fact it works like a natural analgesic and its healing effect will help to calm your baby without resorting to drugs. 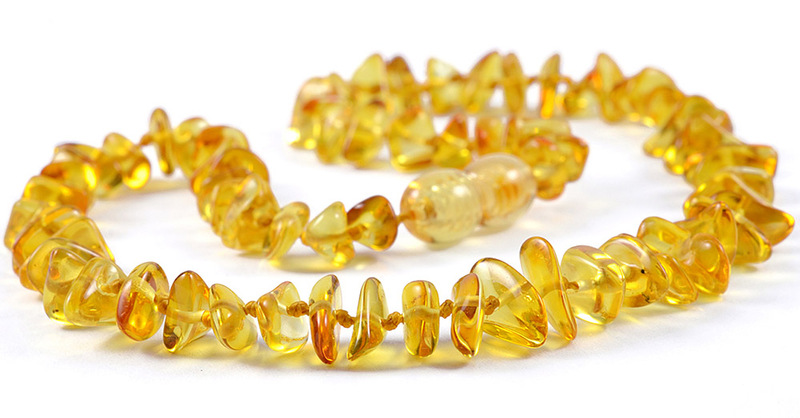 Please supervise your child at all times while wearing the Amber Teething Necklace. 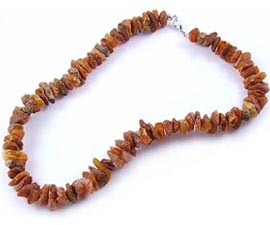 Amber Teething Necklaces are made for wearing not for chewing! 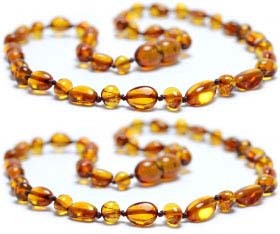 Amber Teething Necklaces should be removed when baby is sleeping or unattended! 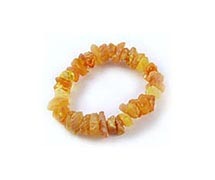 You can secure the Amber Teething Necklace around the baby's ankle at night to continue the comfort of Amber. 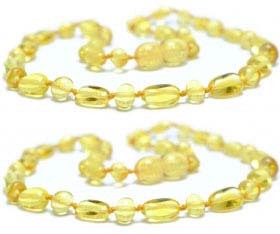 The string is knotted between each bead so should the necklace brake (which it should if necessary) all of beads will not scattered. 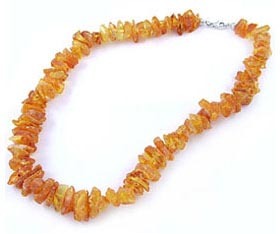 The Amber Teething Necklace fastens with a screw clasp. Please be sure and measure for the length you need. Clean with lukewarm water and a soft cloth.